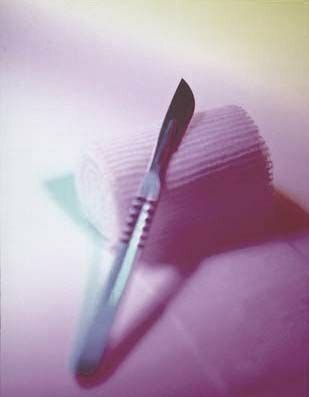 Did you know that wounds heal faster when a skilled clinician uses sharp debridement? Are you familiar with all the tools that can be used to debride wounds faster and easier? Do you know how to document to maximize your reimbursement? Does your state or company require you to have special training to perform sharp debridement? Do you have the proper documentation to prove your competency in performing sharp debridement safely? ADVANCED WOUND DEBRIDEMENT: A Cut Above the Rest is the most comprehensive seminar presentation on preparing the wound bed to heal utilizing sharp debridement, the most advanced and highly skilled technique, as well as other current forms of wound debridement. Physical Therapists, Physical Therapist Assistants, Occupational Therapists, COTA's, Nurses, Nurse Practioners, Physicians and Physician Assistants. The overall objective of this program is to provide comprehensive education to licensed health care professionals regarding wound bed preparation using different types of debridement, with an emphasis on conservative sharp debridement. HAVE YOU GOT THE SKILLS?? Session will include A & P, types of wound debridement, indications and contraindications, techniques, tools, documentation, legal issues and policy development. Live hands-on practicum with skills performance check off. All texts, debridement instruments and supplies are included. Students receive documentation of competency in performing conservative sharp upon completion of this course. Recognize new technologies and products used in the debridement process. Identify tools used in the sharp debridement process. Discuss legal implications and policy and procedures related to debridement. Early bird price available until March 29. Register now! Early bird price available until April 5. Register now! Information was extremely up to date and usable"
It was great. Met all my expectations!" Good course for experienced and 'greenhorn' clinicians"
Valuable information that can be applied to your clinical setting"
Informative course with knowledgeable and enthusiastic instructors. They kept it interesting and fun"
I learned so much and even enjoyed being in class all day. I am recommending this course to my colleagues." "I just wanted to let you know how helpful your workshop was to me. It was an excellent learning experience, as well as fun. You didn’t make us feel incompetent when we slaughtered our porcine specimens. By the end of the session I felt good about what I could do. I am looking forward to working with my preceptor in the clinical setting. Thank you for helping me to be able to give my patients high quality, competent wound care."" Will I be CERTIFIED in sharp debridement upon completion of this course? debridement and demonstrated ability to use sharp instruments in a skills laboratory setting. agency that oversees or regulates competency or certifies in “Sharp Debridement” in the USA. the state you are licensed in. I have a friend who claims they are Certified in Sharp Debridement, is that true? Can I bill for sharp debridement? There are several factors that will determine your ability to bill for sharp debridement services. information regarding billing for sharp debridement services. Will I receive contact hours or continuing education credits? course is approved for 8 CEH's for physical therapists and physical therapy assistants. views of the presenters or the sponsors. Do you offer CME's for physicians? and is acceptable for up to 7.5 Elective credits by the American Academy of Family Physicians. the activity. AMA equivalency of Category 1 credits. Do you offer any kind of group rates? course at the same location. The group rate is $25 off per person. Contact us for more information and to receive the Promo Code at 866-925-5532 or email. Sharp Debridement Course onsite at my center? training or contact us at 866-925-5532 or email and we can make arrangements. Is there a separate lab fee for the sharp debridement course? No, all materials and sharp debridement supplies are covered in the registration fee. setting and immediately begin sharp debridement on patients? How do I find out if I can legally perform sharp debridement in my state? board directly and speaking to one of their representatives to get more definitive clarification. positions on conservative sharp debridement. How should I plan my departing flight if I want to fly out after the class? preferential treatment so you can make your flight. confirmation that I am registered for the class? that you call before showing up on location to be sure we can accommodate you. what the plan is at that time. What if I am unable to attend the class after I register? If you cancel more than 14 days before the class we will refund your registration fee minus a $25 administrative fee. If you cancel with less than 14 days before the class we do not offer a refund, however your registration fee can be applied to another class in the future. directly at 866-925-5532 or email. If you would us like to add you to our email mailing list for notifications when new classes are posted, please mention that in your comments.